​A beautiful workshop where we connect with the Ascending Angels to either awaken our own angelic body so that we can channel Angelic Healing Energy and awaken our Earth Light energy body to channel Earth Light Reiki healing energy. 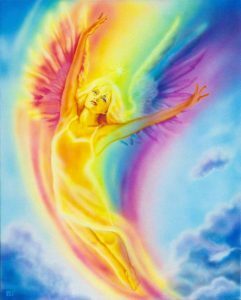 The Archangels will be sharing with us knowledge of how to channel their beautiful love-light energy. ​Earth Light Reiki is based on the original energy of Usui Reiki, this new enlightening experience focusses on channelling all aspects of the Earth Light energy of Reiki. This workshop is a wonderful opportunity to experience and learn the basics of Reiki. Explore your own unique healing gifts in a safe, encouraging space so that you’ll be able to channel this empowering healing light to yourself, friends and family. Also encourages deep self-healing. Exchange for this workshop is £95 (concessions available on request). To book please either BUY NOW or email caroline@ascendingangels.com a non-refundable deposit of £25 is required to confirm your place. Following on from the Level One attunement this workshop focuses on deepening our experience with the Angelic Realm to bring Angelic healing to others as well as strengthening our connection with the Earth Light energy as you complete your Angelic Light & Earth Light Reiki level Two. This workshop enhances your connection with the Earth Light and Angelic Light Healing energy, exploring the sounds and tones of the Earth Light and Angelic vibration together with a deeper understanding of using the Earth and Angelic energy for healing as a therapist in person as well as distantly. This Angelic Light & Earth Light Reiki Practitioners workshop comes in 2 parts, you will receive a certificate of attendance following the workshop yet there will be some case studies and assignments to complete and a following 1 hour one-to-one session at a fee of £50 to receive your Reiki Practitioners certificate. Exchange for this workshop is £145, concessions available on request. ​To book please either BUY NOW or email caroline@ascendingangels.com a non-refundable deposit of £25 is required to confirm your place. These workshops will attune you to the energetic light codes of Reiki. 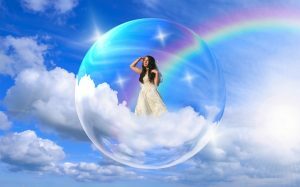 These light codes will awaken knowledge of the earth’s light energy, open new inner pathways to facilitate understanding and speaking the language and singing the Angelic sound of Reiki in its fullest capacity thus enabling greater transformation and healing possibilities, both for yourself and those you help. 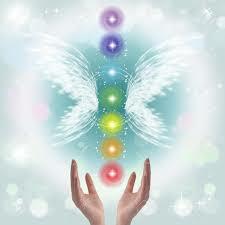 Suitable for those who have completed any variety of Reiki I & II (Angelic Light & Earth Light Reiki recommended). During the 2 day workshop you will receive powerful attunements that will assist you in integrating and understanding the Light Codes of Reiki. You will also gain the knowledge of how to facilitate or teach Reiki to others as well as deepening and exploring your existing abilities to new levels. You will also explore connecting with the Archangels to bring a deeper, clearer intuitive understanding of your own Angelic body of consciousness and how the Angels bring healing to us here on Earth. You will be required to have completed 30 hours of case studies, 6 assignments and (once completed) a following 1-2-1 session at a fee of £50 to complete your Master Practitioner training and receive your Reiki Master Practitioner certificate after which you can channel the healing energy of Reiki as a Master Practitioner (professional insurance required). This course is facilitated by Caroline and Sue Benford of Pathways to Healing. Sue is an Earth Light Reiki Master Teacher with over 13 year’s experience and is a respected, well-known healer in Longfield, Kent. Venue: Rainham, near Gillingham, Kent. To book please either BUY NOW or email caroline@ascendingangels.com a non-refundable deposit of £45 is required to confirm your place. The Angelic Light & Earth Light Reiki Master Teacher training is a 2 day workshop and on completion of this you will then be expected to prepare, market and teach at least one Reiki workshop with your Reiki Master Teacher observing. A written report following this workshop is required in order for you to receive your certificate of Master Teacher qualification. To gain confidence in teaching you are invited to attend at least one of each of our Reiki workshops where you will be encouraged to observe and then lead certain parts of the workshop (this is not a requirement for completion of the Master Teacher course). Our method of teaching is supportive and empowering for you as you are given time and experience so that you can develop your own teaching style, feeling confident and able to teach Reiki to others, as well as holding the space and encouraging your own students to grow. If you are already an Angelic Light &/or Earth Light Reiki Master Teacher you are welcome to attend this workshop as a refresher, please contact Caroline for more details. To book please either BUY NOW or email caroline@ascendingangels.coma non-refundable deposit of £50 is required to confirm your place. If you would like to discuss the Reiki Master Teacher training course with Caroline please do contact her on caroline@ascendingangels.com. 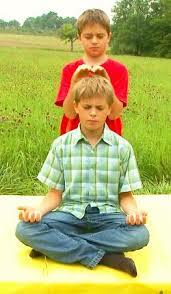 This workshop is for parents and their children to come and learn Reiki together. Strengthening the bond between parent and child as well as encouraging a deeper trust in ones intuition or natural instinct. For children this is an opportunity to experience and learn the basics of Reiki, exploring how to feel safe energetically around others, helping to calm themselves and how to self nurture and love themselves too. The aim of this workshop is to empower children to feel more confidence and self assured as well as strengthening the trust and acceptance between parent and child. A beautiful experience in receiving a healing attunement together with the ability to be able to channel this empowering healing light to yourself, friends and family. Suitable for parents, grandparents, guardians and their children aged 8+, children should be supervised by their adult at all times. Exchange for this workshop is £45 per person. To book please either BUY NOW or email caroline@ascendingangels.com a non-refundable deposit of £20 per person is required to confirm your place.